The use of Ultra Low Sulfur Diesel and an increase in availability of ethanol blends are contributing to the corrosion of in-sump and in-tank equipment. With a special coating and stainless steel parts the Red Armor series of Submersible Turbine Pump (STP) combats corrosive environments ensuring easy maintenance for the life of the pump. 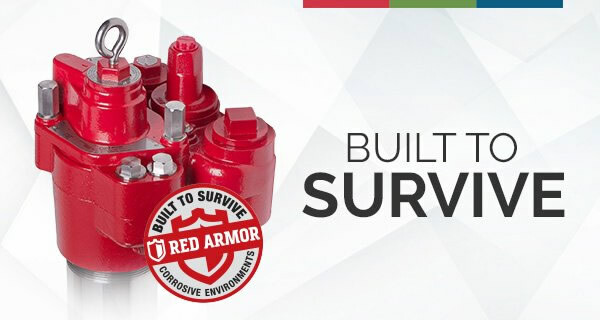 THE RED ARMOR STP: The ultimate survivor in your fueling infrastructure. Built upon the same field proven Red Jacket STP platform with identical sizes. Fully compatible with fielded “The Red Jacket” STP models for easy upgrade. 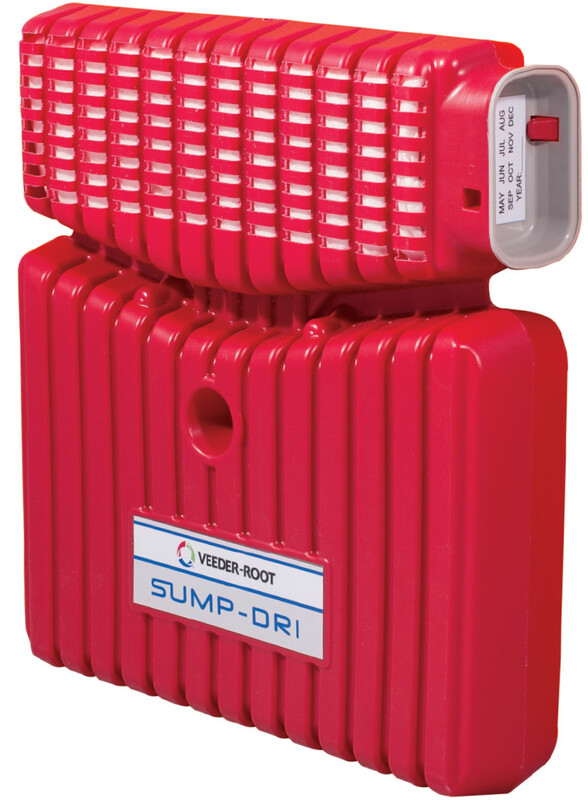 The new Sump-Dri Desiccant System is an instant in-sump solution for reducing the corrosive effects of moisture in sumps. Designed to maintain moisture- and acetic acid-free conditions in a sump space, preventing deterioration of metal surfaces, including contractor’s boxes, pumps, and conduit. If you would like to learn more or get a quote for the Red Armor STP and/or the Sump-Dri Desiccant System, call us at 1.800.451.4021. 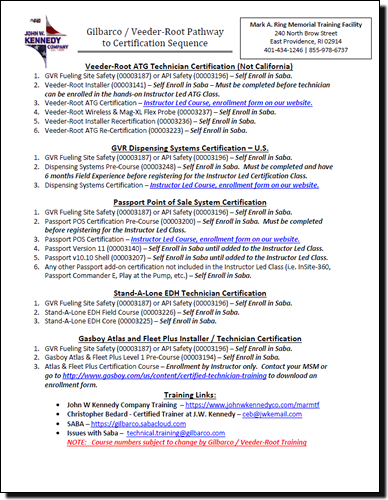 Kennedy’s own Christopher Bedard, GVR Certified Technical Trainer / Assistant Service Manager has put together a document that outlines the required sequence of events that must be followed for anyone seeking to become a Gilbarco / Veeder-Root certified technician. Click here to read the full document that outlines course by course what is required and how to go about meeting each requirement. If you have any questions about the Gilbarco/Veeder-Root Pathway document or technical training offered at by the John W. Kennedy Company at the Mark A. Ring Memorial Training Facility, please contact Christopher Bedard at 1.855.978.6737 or fill out the form found on our Contact-Us web page.